How well protected are Syrians in Turkey? EU policymakers hope Syrians will stay in Turkey, but while they have some rights there lasting solutions are elusive. Cooperation with the Turkish government has become an essential part of the European policy on migration and asylum. This is for good reason. Turkey now hosts more refugees than any other country in the world, including 2.81 million Syrians. At the same time, nearly one million refugees and migrants arrived irregularly in Europe by sea in 2015, and of those more than 850,000 arrived in Greece through Turkey, according to the United Nations High Commissioner for Refugees (UNHCR). The nature of that cooperation changed in early 2016, when the European Union and Turkey adopted the controversial EU-Turkey Statement on 18 March, with the purpose of ending all irregular migration from Turkey to the EU. Given the potential pitfalls of such a project, it’s important to understand the legal frameworks girding both the agreement and the temporary protection regime in use in Turkey today. In the following I review select aspects of situation facing Syrians in Turkey today, and then clarify how protection of Syrians in Turkey can be improved. There are two things to know when analysing protection of Syrians in Turkey. First, Turkey maintains a geographical limitation to the 1951 Refugee Convention, which means Turkey is not obliged to grant refugee status to asylum seekers coming from outside of Europe. Turkey makes full use of this limitation, and rather than granting refugee status to non-European asylum seekers it gives them ‘conditional refugee status’ instead. Turkish lawmakers invented this term and it offers less protection than that which is available to refugees coming from Europe. Syrians, meanwhile, are granted neither refugee nor conditional refugee status. They receive ‘temporary protection’ – a third status that offers more rights compared to the conditional refugee status yet does so for an indefinite period of time. Turkey has largely maintained an open door policy to those fleeing the Syrian civil war and now offers some protection to more than 2.81 million people. Second, Turkey declared a state of emergency following the failed coup attempt in July 2016. Following this declaration, Turkey submitted a formal notice of derogation to the European Convention of Human Rights (ECHR) and notified the UN Secretary General that it may take measures involving derogation from obligations under the International Covenant on Civil and Political Rights (ICCPR). Furthermore, in a state of emergency the Council of Ministers can issue decrees with the force of law (Kanun Hükmünde Kararname), which can restrict the fundamental rights of individuals, citizens and non-citizens alike. This power, along with the formal derogation from core human rights instruments, potentially allows the Turkish government to make some amendments to the protection regime for Syrians. Turkey has largely maintained an open door policy to those fleeing the Syrian civil war and, accompanied by a national temporary protection regime, it now offers some protection to more than 2.81 million people. Since 2011, all Syrians, Palestinian refugees, and stateless persons living in Syria are eligible, as a group, for receiving temporary protection in Turkey. Syrians who have been returned from Greece to Turkey under the EU-Turkey Statement are also eligible for temporary protection status. The current legal framework of Syrians in Turkey is mainly dealt with Article 91 of the Turkish Law on Foreigners and International Protection (LFIP) and the Temporary Protection Regulation (TPR). Turkey has kept its borders open to all persons fleeing the Syrian conflict, excepting brief border closures due to procedural issues or public security reasons. Syrians did not initially need visas to enter Turkey but this policy changed for those not coming directly from Syria; Turkey imposed visa requirements for Syrians travelling to Turkey by air and sea from a third country on 8 January 2016. The open door policy is also becoming more difficult to sustain, and following the news last January that more than 2.6 million Syrians were in the country border closures between Turkey and Syria became more frequent. Since admission of persons seeking refuge to the Turkish territories is the first step for providing effective protection to those fleeing conflict, it is essential that Turkey keeps its borders open. The Turkish Foreign Minister Mevlüt Çavuşoğlu asserted last February that it will do so, but Human Rights Watch has reported several border closures between Turkey and Syria after that statement was made. Border closures became more frequent following the news last January that more than 2.6 million Syrians were in Turkey. 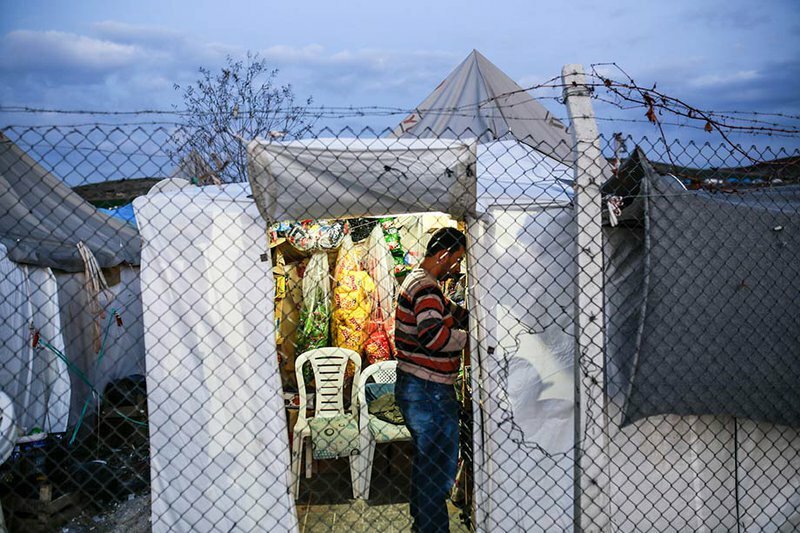 Turkish law provides clear safeguards against refoulement, or the practice of forcing refugees and asylum seekers back to the country from which they fled, however the government has claimed more flexibility on deportations following the attempted coup. Article 36(2) of the first ‘emergency decree’ (Kanun Hükmünde Kararname, KHK/667) amended Article 54 of the Turkish Law on Foreigners and International Protection, which governs deportation orders. Now a removal/deportation order may be issued at anytime to applicants for and holders of international protection who: are leaders, members or supporters of a terrorist organisation or a criminal organisation; pose a public order or public security or public health threat; are reported by international institutions and organisations to have links with a terrorist organisation. This amendment thus broadens the discretion of the Turkish authorities to return individuals found to pose a public security threat or to have links to a terrorist organisation to a third state or the country of origin. Yet, despite this amendment, Turkey’s international obligations relating to the principle of non-refoulement still stand, as Article 3 of the ECHR and Article 7 of the ICCPR are non-derogable. It is critical for the protection of Syrians that Turkey continues to uphold the principle of non-refoulement at all times. All children, regardless of their nationality, have the right to education under the Turkish constitution. In a similar manner, according to Turkish law beneficiaries of temporary protection may be provided with access to education inside or outside temporary accommodation centres. However, in practice Syrians face serious challenges when accessing education in Turkey. According to Human Rights Watch, there are more than 400,000 Syrians between 5-17 years old in Turkey who do not have access to education. There are a number of reasons why many Syrian children do not go to school in Turkey. There are not enough schools to accommodate Syrian children and not enough Arabic speaking teachers. Additionally, Syrians in Turkey did not have a right to work legally until January 2016, thus precluding the possibility of hiring Syrian teachers to fill the gap. Public schools are free, but Syrian children who do not speak Turkish have a hard time following the Turkish curriculum. Developing education policies tailored for Syrians and projects to promote access of Syrians to education takes time and funding; even more time is needed for a complete implementation of these policies and projects. Finally, many Syrian children have to work in order to support their families. Due to these reasons, there is unfortunately a lost generation of Syrian children who do not have access to education in Turkey. According to Human Rights Watch, there are more than 400,000 Syrians between 5-17 years old in Turkey without access to education. The Turkish government declared that it aims to provide access to education to 450,000 Syrian children by the end of 2016 and to all 900,000 Syrian children by 2017. The Regional Refugee and Resilience Plan notes that increased access to public schools; the establishment of scholarships schemes; and the introduction of further language and non-formal education opportunities can improve access of Syrians to education in Turkey. However, neither of government’s declared benchmarks will be easy to reach. Syrians in Turkey did not have the right to work until January 2016, when the Turkish Council of Ministers adopted the ‘regulation concerning work permits of temporary protection beneficiaries’. This regulation made it possible for Syrians to apply for work permits, but only after they have resided in Turkey as temporary protection beneficiaries for more than six months. The regulation furthermore stipulates that Syrians with work permits should be paid at least the minimum wage (currently around 1647 Turkish lira / €450 a month). Prior to the adoption of this regulation Syrians worked had little choice but to work illegally at well below the minimum wage. Thus, while this regulation is certainly a positive development, proper enforcement will be required to ensure that Syrian workers will benefit from these newly introduced safeguards. The right of Syrians to access labour markets is in no way absolute: individual work permits can be restricted to certain cities or geographical areas, e.g. cities in which Syrians reside or where they were first registered. The regulation concerning work permits also introduces certain quotas. The number of Syrians cannot exceed 10% of the whole staff in a workplace, and businesses with less than 10 employees can only hire one Syrian. According to Article 7 of temporary protection regime, the access of Syrians to the Turkish labour market can be further restricted due to considerations of national security, public health, and order. Despite these limitations, it is certainly a positive development that many Syrians now have a pathway to legal employment. There have been serious consequences of the prohibition on Syrian labour over the past five years. 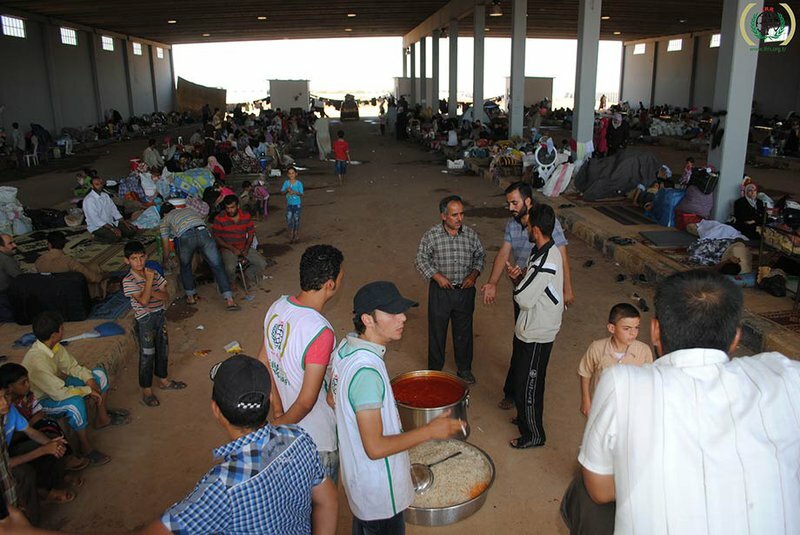 In cities such as Istanbul and Izmir, many Syrian struggled to meet their basic needs. As one Al Jazeera report described this situation, “many Syrian refugees find jobs doing menial labour, daily wage construction work, while others, especially women taking care of families on their own, resort to prostitution, begging, and forcing their children to work”. Absence of a right to work for Syrians in Turkey – in addition to being an obstacle to self-reliance – was, arguably, one of the main reasons why so many Syrians risked their lives to reach Europe. As important as this change is on paper, to date very few Syrians have found it possible or worthwhile to apply for a work permit. As important as this change is on paper, to date very few Syrians – some 10,854 according to the latest report on the matter to the European Commission – have found it possible or worthwhile to apply for a work permit, and thus much remains to be done to convert the regulation into an effective right. There are several reasons why the number is so low, including the restrictions on Syrians’ right to work and the complexity of the application procedure. That complexity is exacerbated by the fact that only prospective employers of Syrians can apply for these work permits. Many employers are unwilling to initiate this procedure since they need to pay social security contributions and usually higher salaries once they hire a Syrian legally. Finally, the Turkish unemployment rate is also already quite high, at 11.3%, and thus in some sectors Syrians also have to compete with unemployed Turkish nationals. For all of these reasons most Syrians working in Turkey today continue to do so illegally and without access to minimum wage protections and social security benefits. Access to the labour market is a key component of Syrian self-reliance. It is essential to expand and promote this access in order to give Syrian adults a means to a livelihood and Syrian children a better chance at continuing their education. Temporary protection in Turkey has existed for more than five years and a maximum time limit for Syrians has not (yet) been adopted. Until the temporary protection regime is terminated, neither the Turkish authorities nor UNHCR will process individual asylum applications from Syrians. Indeed, there is no guarantee that Syrians will ever have access to individual refugee status determination once temporary protection is over. Even if they were to gain access to refugee status determination procedures and successfully claim asylum, however, they would still only be eligible for conditional refugee status. Nevertheless, the absence of a maximum time limit is problematic, and it is essential that Syrians have access to durable solutions in addition to individual refugee status determination procedures once the temporary protection regime ends. This need is all the more pressing given that repatriation is unlikely in the near future. The conflict, violence and human rights violations in Syria are still going on and there is no peace prospect in sight. As for resettlement, UNHCR describes the situation in Turkey as follows: “currently there are limited opportunities for resettlement which are available for the most vulnerable refugees from Syria. Not every refugee who is vulnerable would be considered for resettlement”. As for integration into Turkish society, a curious development happened in July 2016: Turkish President Recep Tayyip Erdoğan announced that Syrians will be granted Turkish citizenship. That would be a positive step towards a durable solution if it came to fruition, however at the moment the specifics of how this would work have not been specified. The review above shows that Syrians are entitled to a number of crucial rights and entitlements under Turkish laws, however many Syrians face challenges in exercising those rights and in accessing mandatory protection standards. So how can protection of Syrians in Turkey be improved? Simple: Turkey must keep its borders open and continue to admit Syrians. It must give 400,000 Syrian children access to education while also abolishing restrictions on work, simplifying work permit application procedures, and otherwise promoting access to the Syrian labour market. It must set a maximum time limit to the Turkish temporary protection regime and give Syrians access to refugee status procedures once that regime ends, so that durable solutions for Turkey’s Syrian population can be created.